Afwillite: Mineral information, data and localities. Named in 1925 by John Parry and Frederick Eugene Wright in honor of Alpheus Fuller Williams [June 21, 1874 Oakland Alameda County California, USA - January 6, 1953 Cape Town, Western Cape, South Africa] of the De Beers Consolidated Mines of South Africa. 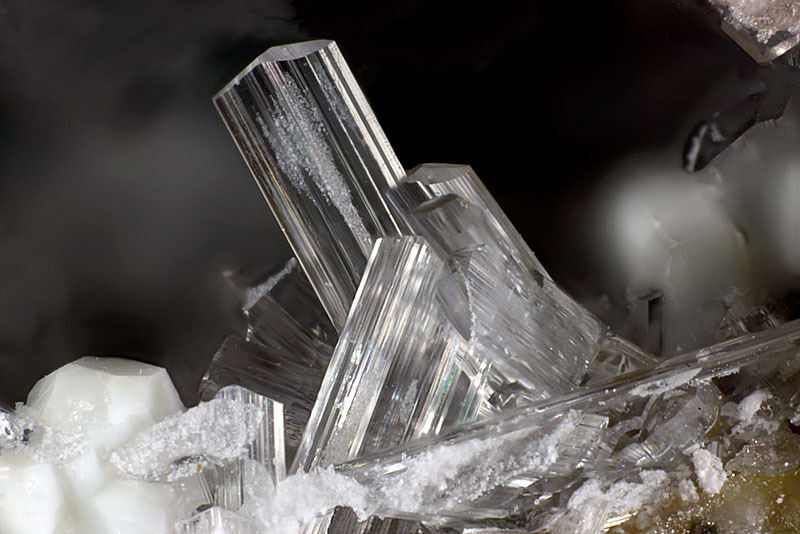 This page provides mineralogical data about Afwillite. Ettringite 7 photos of Afwillite associated with Ettringite on mindat.org. Andradite 6 photos of Afwillite associated with Andradite on mindat.org. Portlandite 3 photos of Afwillite associated with Portlandite on mindat.org. Hydrocalumite 2 photos of Afwillite associated with Hydrocalumite on mindat.org. Thaumasite 1 photo of Afwillite associated with Thaumasite on mindat.org. Brownmillerite-Srebrodolskite Series 1 photo of Afwillite associated with Brownmillerite-Srebrodolskite Series on mindat.org. 52.4.7.2 Bultfonteinite Ca2(HSiO4)F · H2O Tric. Parry, J., Wright, F.E. 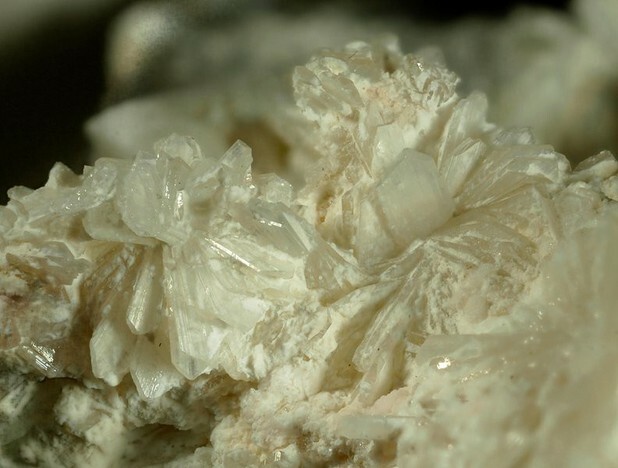 (1925) Afwillite, a new hydrous calcium silicate, from Dutoitspan mine, Kimberley, South Africa. Mineralogical Magazine: 20: 277-285. Foshag, W.F. (1925) New minerals: new species. American Mineralogist: 10: 447-448. 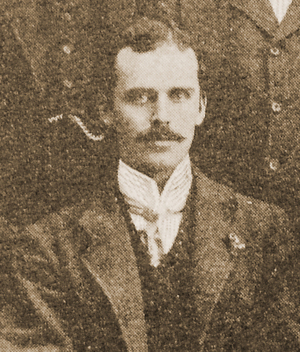 Megaw, H.D. (1952) The structure of afwillite, Ca3(SiO3OH)2·2H2O. Acta Crystallographica: 5: 477-491. Malik, K.M.A., Jeffery, J.W. (1976) A reinvestigation of the structure of afwillite. Acta Crystallographica: B32: 475-480. Rastsvetaeva, R.K., Chukanov, N.V., Zadov, A.E. 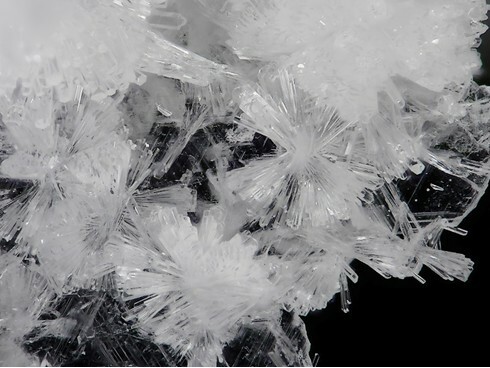 (2009) Refined structure of afwillite from the northern Baikal region. Crystallography Reports: 54: 418-422. Grünhagen H and Mergoil J (1963) Découverte d'hydrocalumite et afwillite associées à l'ettringite dans les porcélanites de Boisséjour près Ceyrat (Puy de Dôme). Bulletin de la Société Française de Minéralogie et de Cristallographie 86: 149-157. GROSS, S., MAZOR, E., SASS, E., & ZAK., I. (1967). The mottled zone complex of Ayalon (Israel). Israel Bull. Earth Sciences, 16, 84-96. Stoppa F., Scordari F., Mesto E., Sharygin V.V. and Bortolozzi G. - Calcium-aluminium-silicate-hydrate "cement" phases and rare Ca-zeolite association at Colle Fabbri, Central Italy (2010). Centr.Eur.J.Geosci. 2 (2), pag. 175-187 . KUSACHI, I., HENM, C., & HENMI, K. (1989). Afwillite and jennite from Fuka, Okayama Prefecture, Japan. Mineralogical Journal, 14, 279-292. KUSACHI, I., HENM, C., & HENMI, K. (1989). Afwillite and jennite from Fuka, Okayama Prefecture, Japan. Mineralogical Journal, 14, 279-292. ; Mineralogical Journal Vol. 14 (1989) , No. 7 pp 279-292; Henmi, C., & Kusachi, I. (1992). Clinotobermorite, Ca5Si6 (O, OH) 18· 5H2O, a new mineral from Fuka, Okayama Prefecture, Japan. Mineralogical Magazine, 56(3), 353-358. Marincea, Ş., Dumitraş, D. G., Călin, N., Anason, A. M., Fransolet, A. M., & Hatert, F. (2013). Spurrite, tilleyite and associated minerals in the exoskarn zone from Cornet Hill (Metaliferi Massif, Apuseni Mountains, Romania). The Canadian Mineralogist, 51(3), 359-375. Switzer, G. and Bailey, E.H. (1953) Afwillite from Crestmore, California. American Mineralogist: 38: 629-633.; Murdoch, Joseph (1954) Scawtite and bultfonteinite from Crestmore, California. (abstract): Geological Society of America Bulletin: 65: 1347-1348.; Murdoch, Joseph (1955) Scawtite from Crestmore, California. American Mineralogist: 40: 505-509.